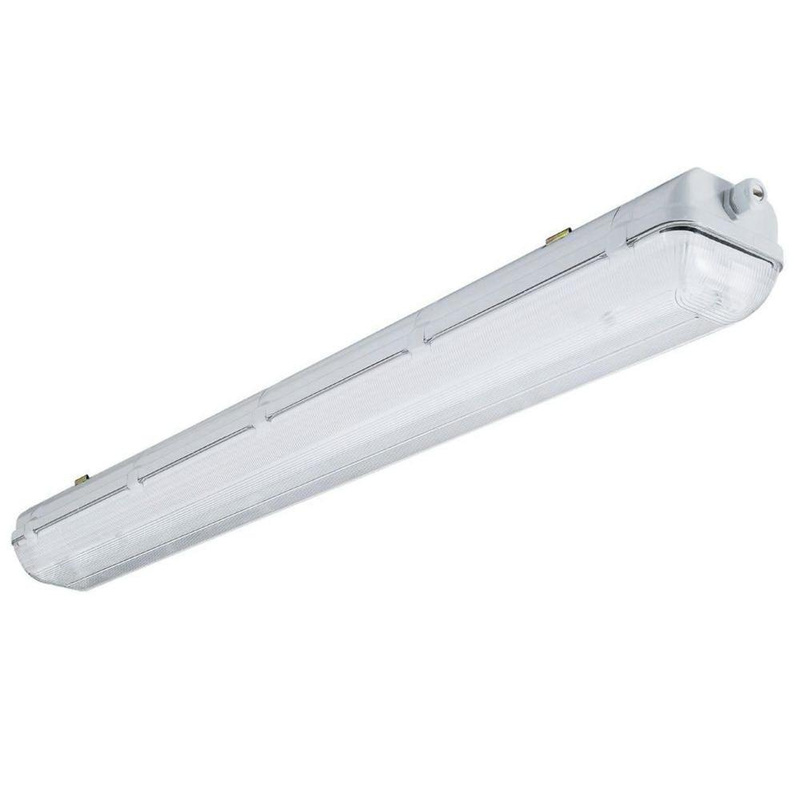 Lithonia Lighting Wet located enclosed industrial fixture has rugged light gray polycarbonate housing with continuous poured gasket for air-tight seal, keeping out moisture, dust and humidity. Flush/chain mountable industrial fixture uses two 32-Watt T8 lamps. Lamp with electronic instant start ballast has voltage rating of 120 - 277-Volts. Industrial fixture measures 49-5/8-Inch x 6-1/2-Inch x 4-1/2-Inch. It is ideal for low to medium mounting heights. It is suitable for applications where dirt, dust, humidity, moisture and cold temperatures are present. This fixture withstands temperature rating of 25 deg C. It has IP65-degree of protection. Industrial fixture is UL listed.